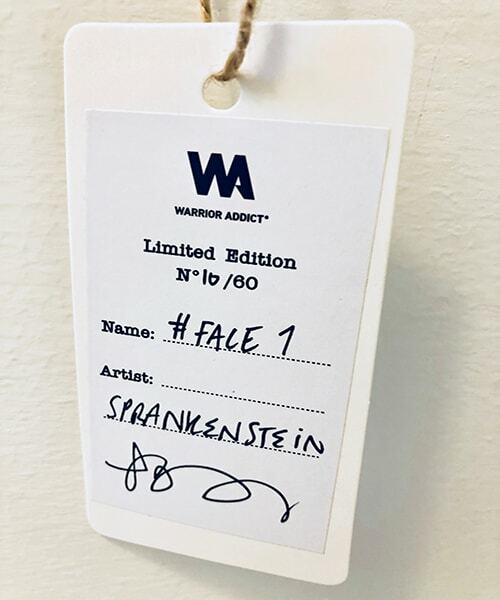 FACE #1 is our very first collaboration with London based artists Sprankenstein. Sprankenstein is one of the art world's best kept secrets but she is about to set the industry on fire! She has already collaborated with artisrts such as Kygo ,Selena Gomez and Clean Bandit. One of her videos was premiered at the Nobel Piece Prize ceremony and reached over 80 million plays online. Face #1 comes from a larger series of illustrations, 'FACES', based on the people in and around a small seaside town in the UK. The collection explores creating abstract features and playing with the norm of traditional portraits to create a bold and striking representation of humanity and heritage . 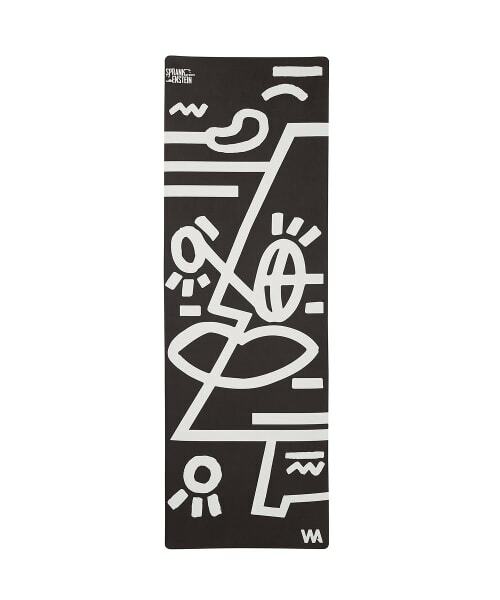 In order to retain the art work's authenticity and ensure that each piece sold is unique, we decided to sell only ten of these limited edition yoga mats, each of which has been signed and numbered by the artist. 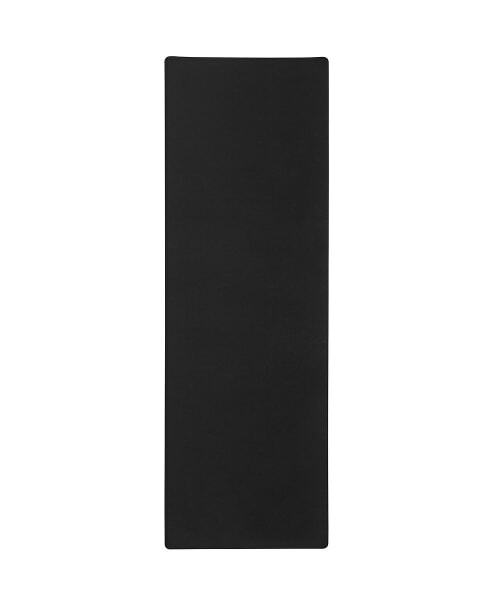 About the mat: The FACE #1 mat is a light weight, super comfortable yoga mat measuring 183 x 61cm (72 x 24”) by 3mm. 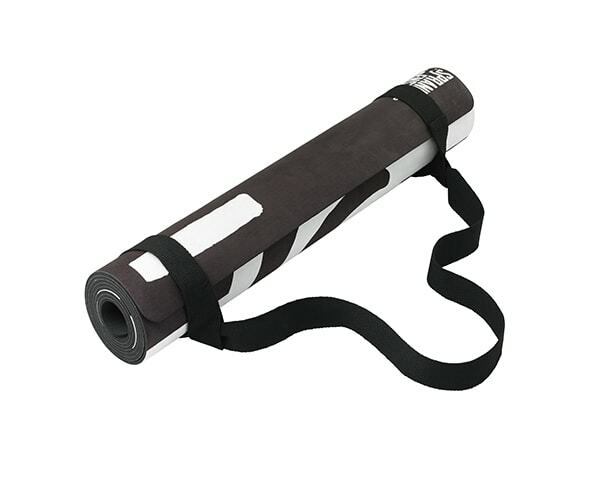 It is perfect for carrying to the studio or for home practice. The mat’s surface is made from Micro-Fiber and the bottom is made from Natural Tree Rubber so it wont move around on the floor. FYI Micro-Fiber is a synthetic fiber that feels a bit like suede and is incredibly soft so guaranteed your feet will love it. 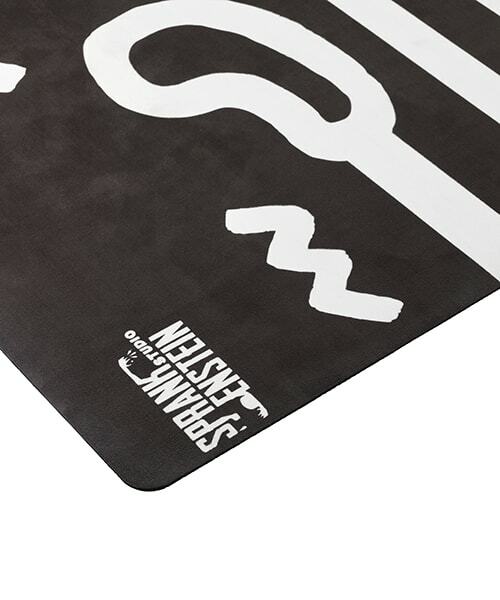 It is Anti-Microbial and is awesome for Sweat Absorbing, so for those of you that like hot yoga or sweat a lot then this mat is for you. It is Machine Washable too. "I love the new face mat! It's the most unique mat I've ever practiced on and comes with a cool backstory from the artist. 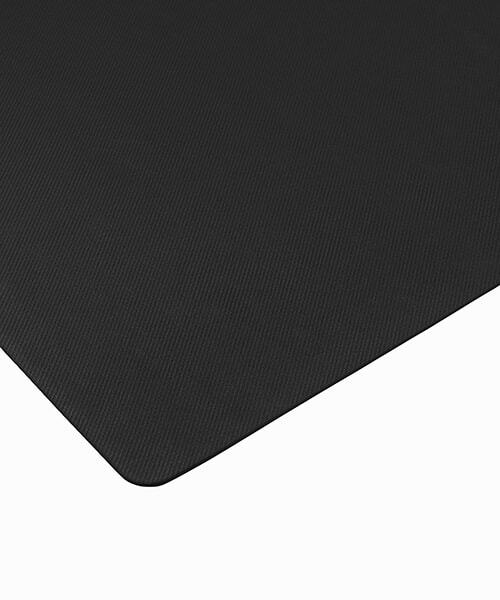 The best thing is that is still performs like Warrior Addict's other mats: non-slip and large size."